Almost all tournaments follows the Advanced format, which has many forbidden and limited cards. Forbidden cards are not allowed anywhere near your deck. Limited cards are those that you can only have one of in your deck and Semi-Limited are those that you can only have two of in your deck, instead of the usual three. Cards are banned in order to keep the game interesting. Without these lists, tournament matches will just be a game of luck: whoever draws the super powerful card first will win. In some cases, if both players get a strong starting hand, it might even be whoever goes first wins. This is no fun for players and observers. Instead, the banlist forces players to be creative and to strategize while playing, which keeps the game interesting in the long run. 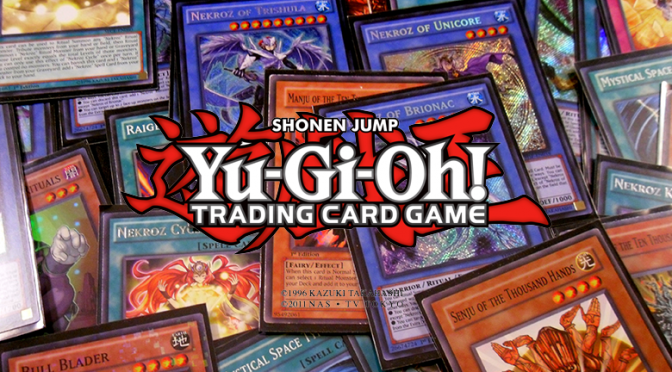 There is also the Traditional format of Duel Monsters, which has no forbidden cards. Those that are forbidden are considered to be limited instead under the Traditional format. If you are playing with your friends, be sure that you all agree on which ruleset you are following in order to prevent arguments later on! The banlist is constantly updated and changed. Some cards that are forbidden now may become limited in the future and vice versa. Yu-Gi-Oh! World will be sure to keep you updated on these changes! Cards that are “Forbidden” cannot be used in your Main Deck, Extra Deck, or Side Deck. You can only have 1 copy maximum of a “Limited” card in your Main Deck, Extra Deck, and Side Deck combined. You can only have 2 copies maximum of a “Semi-limited” card in your Main Deck, Extra Deck, and Side Deck combined. The next update after this will be no sooner than April 2, 2019. The previous (effective December 3, 2018) list will remain in effect until January 28, 2019.